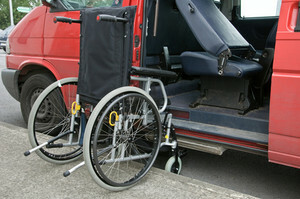 Because most medical transport companies advertise and accept payment for their services, under Tennessee law, they will usually be characterized as a "common carrier". Common carriers owe their clients the highest degree of care. This high duty of care extends to almost all aspects of the transport service. Because medical transports are providing services to people who are already sick or injured, it is especially important for them to keep their equipment in good condition and to employ well-trained, conscientious staff. If you or a loved one has been injured in a medical transport accident, contact our experienced medical transport accident attorneys. We have been helping injury victims for more than 80 years and we are here to help you recover the compensation you deserve for your injuries. We provide a free, no-obligation consultation, and we only get paid if we recover money for you. Call us today at 615-742-4880 or toll-free at 866.812.8787 or contact us online. Can I file suit if the negligent driver died in the accident?